Nothing is more effective than consistency when it comes to making your company, or your performance, stand out. In a sense, it underlines the message you want to convey to stakeholders and customers regarding your ability to regularly achieve goals and objectives. 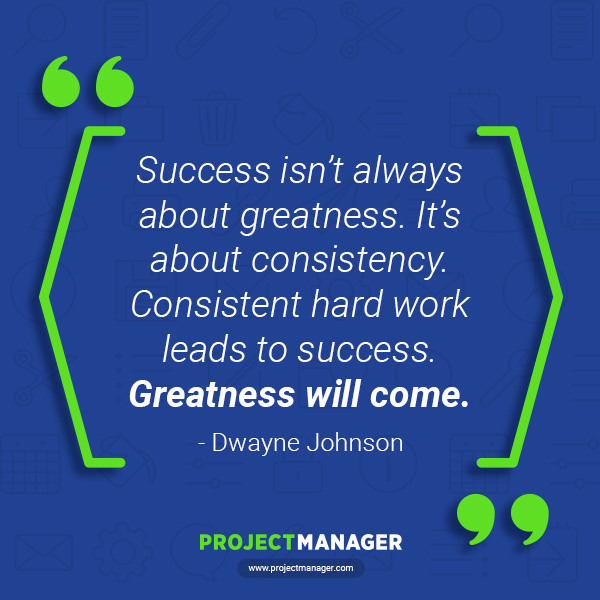 In short, consistency is the habit that leads to successful projects. In any enterprise, consistency means that you’re organized, and people know what to expect from you. 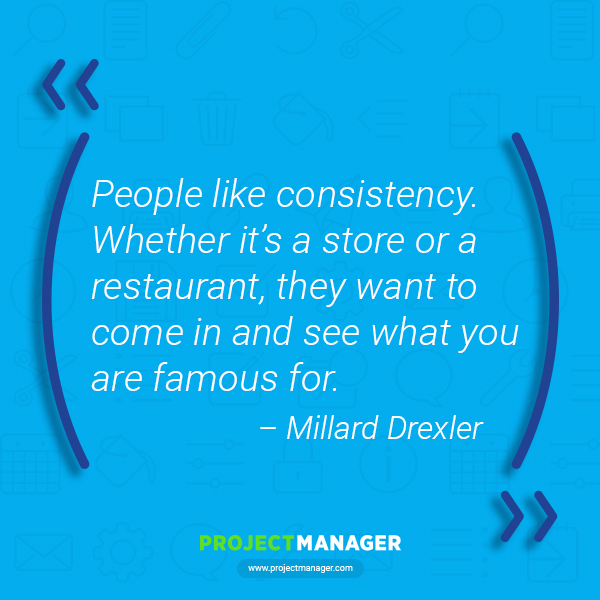 That consistency creates an atmosphere where managers and employees are more comfortable. And where there’s consistency, there is usually productivity. While change is inevitable, a lot of wasted energy can be focused on unnecessary change: change that you should be able to control, such as policies and procedures. Being consistent in the fundamental structure of an organization means that teams don’t have to stop working to get accustomed to new regulations. Then there’s the baseline of consistency, which allows for easier measurement of progress with reporting tools. Therefore, when you apply new initiatives, you have consistent data on which to compare whether the change is for better or worse. Also, when managers and teams are consistent, then they’re accountable, because everyone knows what’s expected. What else can we say about consistency? Nothing more than what’s already been said by greater minds than ours, which is why we’ve collected 10 of the best consistency quotes. To make sure you don’t misquote us, we created popup art for each quote, so you can cut them out and place them around the office for when you need a beacon to help you maintain your work ethic. With a nickname like “The Rock,” what else would you expect? The wrestler-turned-actor knows that waiting for inspiration is not an option. Working consistently towards a goal will have you not only achieve it in time, but will also reveal greatness in the process. Though this NFL quarterback was referring to football, his consistency quote could just as easily be about business if you just delete the word “sport.” A quarterback is like a manager, one who assembles a team and has an ethic of consistency in order to get their project over the goal line. And chemistry is often the byproduct of that consistency. 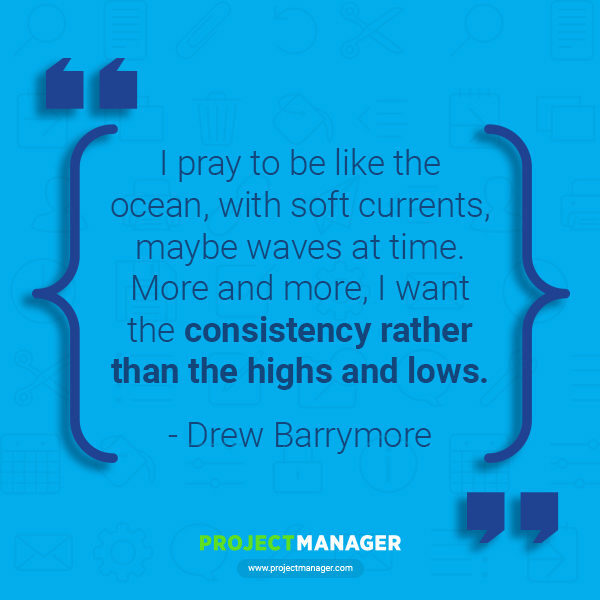 Actress Drew Barrymore has known her share of highs and lows, coming from a famous family and experiencing the roller-coaster ride of early fame. Over that time, she’s come to understand that consistency is the best course to live a happier and more productive life. The same can be said about any project, which suffers from apathy as much as it can from exuberance. They don’t call him “The Boss” for nothing. His career is a perfect example of a creative project that is subject to the demands of the marketplace. A lot of talent goes unseen, or withers on the vine, without the consistency to care for that soil and put in the hard work over time to make it bloom again and again. Roman author, architect, civil engineer and military engineer Vitruvius wrote the book on architecture and knew that consistency wasn’t simply repeating the same task. 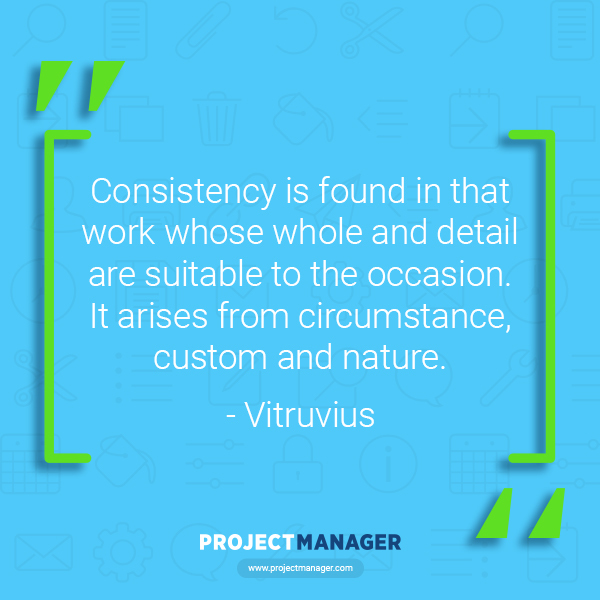 Consistency is one piece of the larger structure that must be aligned with the other elements involved in the project. This means that consistency for consistency’s sake is wrong. 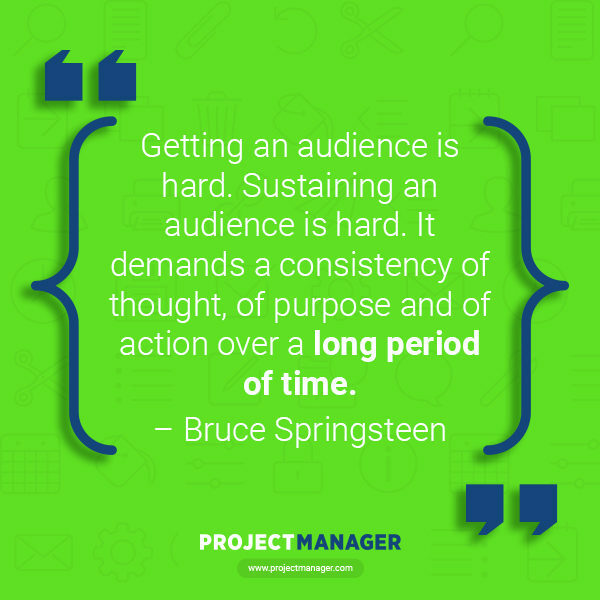 Consistency grows out of the parameters of your project. Millard Drexler, former CEO and current chairman of the J. Crew Group, knows that the customer might not always be right, but they have certain expectations that must be met for any enterprise to succeed. 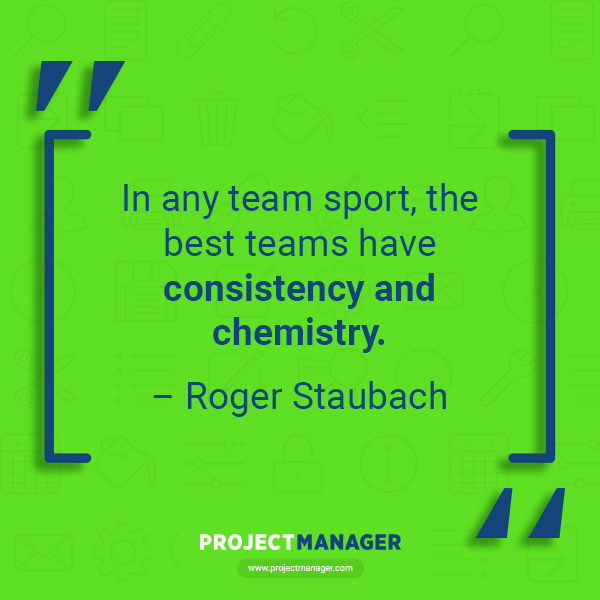 Consistency helps lay that groundwork, which will bring stakeholders to your team for the work they want done, because it’s the work you’ve shown you can do well. Nobody said it would be easy. We live in a culture that loves a flash in the pan. Success has a shelf life that lasts about as long as it takes to make the next clip. 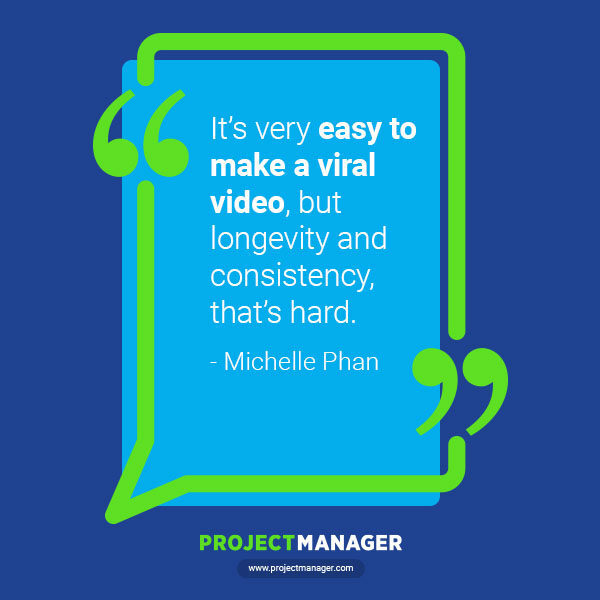 Certainly, makeup artist and YouTube sensation Michelle Phan gets it. Anyone can make you notice them once, maybe even twice, but to have staying power means consistency, which isn’t based on gimmicks. It’s hard work. 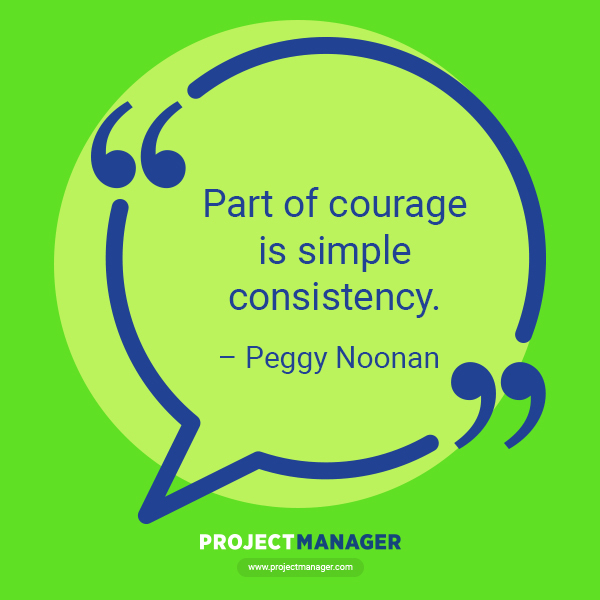 Peggy Noonan, speech writer for Ronald Reagan and political columnist for The Wall Street Journal, speaks of courage, but not without noting its underlying foundation in consistency. Once you’ve done your due diligence and have made that plan, it often takes great courage to follow it consistently, but it’s often that lodestar that will lead you to the mountaintop after wading through the valleys. That doesn’t mean that you should be stubborn. Know when change trumps consistency. Consistency might be the goal, but there are hurdles blocking that path, many of which are unexpected. 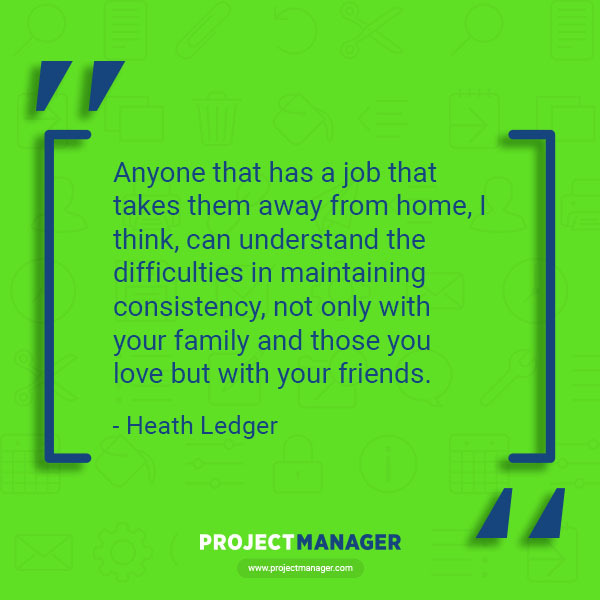 Actor Heath Ledger is talking about working in film, but the same is true with any project. It can keep you from those you love, and that will erode the consistency of your work. It’s something to be on guard about. You can’t neglect the important balance of life and work, and you can’t let one corrupt the other. 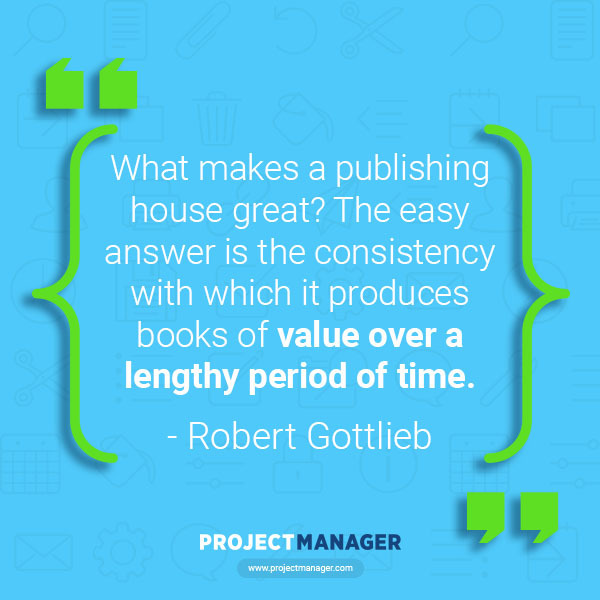 As editor-in-chief of Simon & Schuster, Alfred A. Knopf and The New Yorker, Robert Gottlieb knows about success in publishing. It really is that simple. Just make the best product, and do it every time. That, of course, is easier said than done. But as we end this series of quotes on consistency, it’s good to get back to the basics. Aim high and stay there. If you’re looking for consistency, the last thing you want is a tool flaking out on you. It’s hard enough to work towards consistency without having to second-guess the software you’re using to get there. ProjectManager.com is an online project management software that you can depend on. It gives you the real-time data you need and the features to plan, monitor and report consistently. Try it today and see with this free 30-day trial.